7Mind was foun­ded in 2014 to bring medi­ta­tion and mind­ful­ness into our modern world. With more than 1,300,000 down­loads to date, 7Mind has become Germany’s most popu­lar online medi­ta­tion trai­ning. 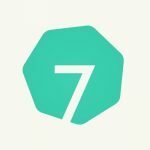 The 7Mind app is cur­rently avail­able in four lan­gua­ges, and is con­ti­nuing to grow! Our goal is to help people pay as much atten­tion to their mental well-being as they do to their phy­si­cal health. In coope­ra­tion with sea­so­ned medi­ta­tion teachers, as well as health­care experts, we strive to deve­lop high-qua­lity trai­ning that pro­vi­des the easiest pos­si­ble access to medi­ta­tion and mind­ful­ness. As our first in-house full-time desi­gner, you will bring our CD, UI and UX to the next level. You will work clo­sely with our pro­duct team and our mar­ke­ting team to improve our native mobile apps, our web­sites and various mar­ke­ting mate­ri­als (online & off­line). Bene­fits such as snacks, fruit, bever­a­ges and fun monthly team events!